Fidel possesses an incredible sense of self-awareness. It’s one of the tools he uses to survive. That self-awareness motivated him to start writing poetry. He may not have even known at the time why he was writing, but he does now. His writing is the path toward healing. When he has nightmares, he writes, and sometimes the nightmares go away. When he has hope, even after all he’s been through, he writes about that hope as a reminder to himself. His writing is a way to try to make sense of everything that has gone on around him, or at least to put in it’s proper place. Fidel now has two volumes of poetry in publication. 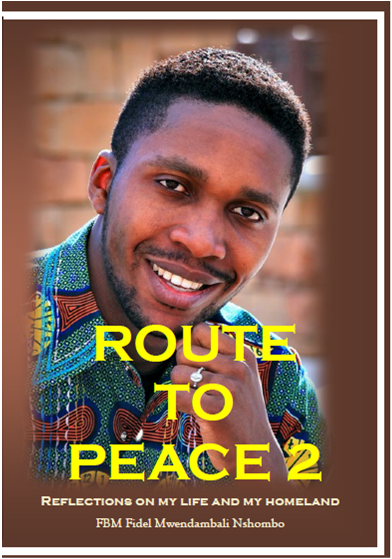 They are Route To Peace Volumes 1 and 2. Each book is $25.00 which includes tax and shipping. 100% of the proceeds from each book sold goes directly to Africa to support Fidel’s family, still living as refugees in Africa.